Awesome! Been looking forward to this one. Eight years since the first album, too. Quote: In progressive metal circles, the names of guitarist Jim Matheos and vocalist John Arch are spoken with due reverence. With the former having been a driving force in FATES WARNING for 35 years, and the latter the original frontman of that band, they also have a single seminal work under the ARCH/MATHEOS banner, 2011's "Sympathetic Resonance". In 2019, they have reunited to follow that record up with "Winter Ethereal", a more stylistically varied and perhaps deeper collection that explores a lot of sonic territory over the course of nine immersive tracks. "This stems from both of us trying to step out of our comfort zones a bit, sometimes voluntarily, sometimes being pushed," states Matheos. "Having worked together so many times, it would be easy to fall into the same way of doing things, and I think we were both interested in exploring some new areas." Arch concurs and adds: "Each song is notably different from the next, and nothing sounds repetitive. It is not a concept album, but somehow after a full listen from start to finish, there does seem to be continuity between the songs that I can't describe. At over an hour long, I think the fans will agree that it is a full listening experience." "Winter Ethereal" will be released on May 10 via Metal Blade Records. Upon completion of "Sympathetic Resonance", the duo neither declared it a one-off work nor planned on making a follow-up, and rather than force anything, they waited for the right timing to present itself, opening the door for a sophomore release. 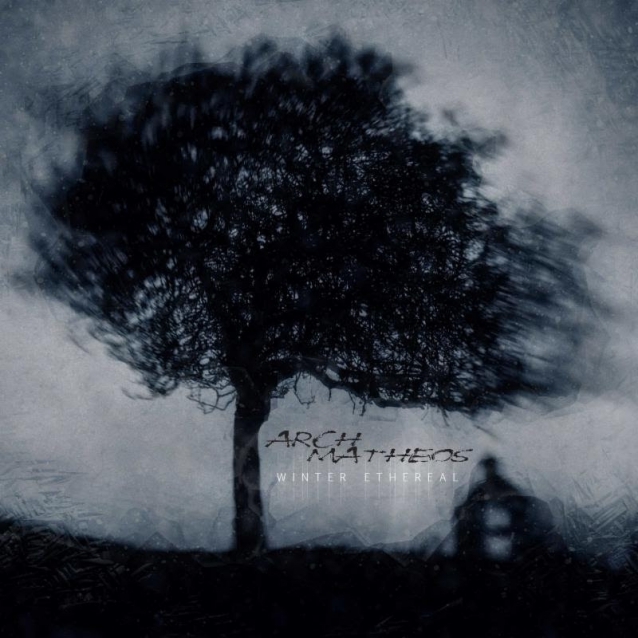 Having commenced writing for the record in the spring of 2017, nothing included was at any point destined for a FATES WARNING record, and everything was penned specifically for ARCH/MATHEOS. This contributes to the record's distinctive feel, and had it not come so naturally, there would be no "Winter Ethereal". "The way we work together is no pressure, no deadline, at least until we get close to recording," says Matheos. "We allow ourselves a lot of time and flexibility to see if we even have anything to say. That's first and foremost. We start by writing, and if things start shaping up and we're excited and inspired, we keep going until we're confident that we'll be able to do a whole record." Rather than reform the full lineup of the first record — made up entirely of FATES WARNING members — this time around, the duo favored mixing things up with a variety of contributing musicians. "We decided that it would be a good idea to use a different lineup and hopefully avoid a lot of the confusion created around the first record," Matheos says. "At the same time, we didn't want to give the impression that we were forming a new 'band' that would be touring/recording beyond this current record. With that in mind, I thought it might be an interesting idea to have a few different rhythm sections across the record, to give things a different feel and sound under the familiar top layer of vocals and guitars by John and I." This lineup comprises both present and former FATES WARNING drummers and bassists — Joey Vera, Bobby Jarzombek, Joe Dibiase and Mark Zonder — plus other noted musicians, such as Steve DiGiorgio (DEATH, TESTAMENT), CYNIC's Sean Malone, and renowned drummer Thomas Lang. While not a concept album, Arch asserts that "anyone who takes the time to read the lyrics will probably connect with a recurring theme touching on the mysterious weight or flight of human emotion that leaves us with more questions than answers." In the context of the title, rather than referring to the season, "Winter" was chosen for having "certain connotations sometimes associated with it, such as isolation, a withering to rebirth", and with "Ethereal" meaning "not of this world, or otherworldly", there came a "meaningful marriage between the two words that best summed up the theme of the album". For the most part, Arch's lyrics come as a reaction to the music Matheos presents him with, letting the thoughts and feelings evoked dictate the direction. Enjoying listeners making their own interpretation of his lyrics, he typically does not go into detail about specific tracks, but as an example of the direction he was drawn, he references "Pitch Black Prism" and the many influences that went into shaping it. "The impetus for this song started with seeing images of dolls left behind at the schools and homes near the Chernobyl nuclear reactor disaster," he says. "Many weeks of research into the personal accounts and survivors' testimonies led me deeper into curiosity. I was halfway into the song when I stumbled across a documentary called 'The Russian Woodpecker', which inspired a larger twist on the direction of meaning. However, it wasn't until I saw a post from a Chernobyl survivor named Yuri, who was one of the musicians employed by the Russian government sent with his bandmates and a ballet dancer into the heart of the disaster to entertain the dying, that the song became complete." Making the most of contemporary technology, almost all collaborators tracked their parts in their respective home studios, while guitars and vocals were laid down at Matheos's studio, with him handling the production. Working this way was conducive to creativity and a process that was most agreeable to both Arch and Matheos. "For me, having the freedom and drive to work in isolation is one of the things I like best about recording," says Matheos. "It allows me to experiment, and often fail, without feeling inhibited or constrained. That said, John offered a lot of encouragement, whether remotely or in person, and pushed me into directions I wouldn't normally go." Matheos was similarly supportive when it came to Arch laying down his parts. "I really enjoy the studio situation, mainly because it feels like home," the vocalist states. "It is a low-key relaxing environment, Jim is behind the console, and I'm behind the mic, and no one is pushing anyone. Whatever creative differences we have, we work out with compromise. I appreciate Jim's patience while I'm tracking vocals because it can be brutal at times. It's also cool because I get a front row seat watching Jim track his guitars, sometimes late into the night till we both run out of gas. We are longtime friends, and a couple shots and laughs at the end of a long day make for some good memories." One thing is certain, with "Winter Ethereal", fans of ARCH/MATHEOS will feel that the long wait endured for new music has been worth it. The natural manner in which it all came together makes it all the more special. "Sometimes after being away from something for a while and having life experiences to draw from, you feel you have something to say or offer. Music has always been the best medium for me to express what sometimes words alone cannot, and the timing for this record was just right," Arch asserts. When it comes to the words he would most readily apply to the album, he immediately goes to "unpretentious, emotionally driven, and, sometimes, the hard truth. 'Sympathetic Resonance' had many of these elements, but I think 'Winter Ethereal' does it with more breathing room, giving the listener time for reflection." I really enjoyed Sympathetic Resonance, so I've also been looking forward to their second album. That track is a bit of a mixed bag for me, but the longer tracks will make or break it for me. Arch has not aged a day, but Matheos' playing has definitely shifted over the years. In any case, I could see this album as anywhere from one of the best of the year to disappointing. Hopefully, it's the former.